We asked the employees of three major German companies – VW, Bosch and BMW – to tell us what a day in the life of a dev looks like. WeAreDevs: What impact do developer teams have on the product in terms of quality, customer consultation and innovation? Holger Urban (Head of Software Development Center Wolfs- burg): The team decides on the “how” of the implementation, and that includes selecting the most innovative approach. They must determine whether the most innovative is also the best approach for product realiza- tion. Ultimately, the approach that works best for the customer must be chosen. Short cycles ensure timely review and quality. User experience also includes user research, in which customer consultation plays a vital role. WeAreDevs: What characterizes a day in the life of a developer at Volkswagen? Urban: At the Software Development Center in Wolfsburg, we start with a collective office stand-up meeting with all our colleagues. Afterwards, the product teams carry out their own stand-up meetings within their teams. Part of the team stand-up is devoted to establishing partner pairings, be- cause the agile teams work exclusively in pairs using extreme program- ming. Then we start working on the backlog. The team members are ex- plicitly requested to close Outlook during this time in order to devote the maximum amount of time to what we enjoy doing the most – developing. The atmosphere is casual. In addition to the stand-ups, the teams conduct iteration planning sessions and retrospectives. 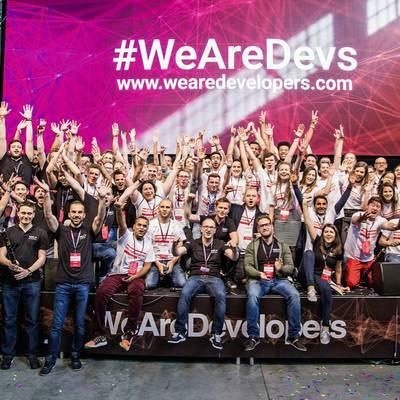 WeAreDevs: Which development projects are you especially proud of? Urban: We are proud to be part of a team of now 80 members in Wolfs- burg, with which we have brought internal development expertise back to Volkswagen. 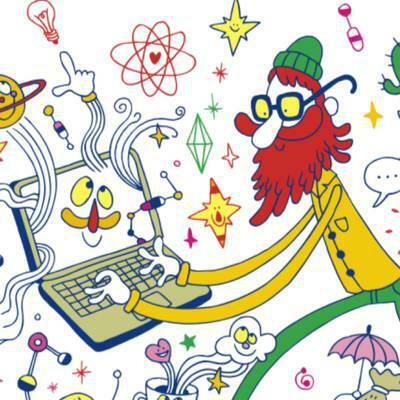 The focus is on innovative topics in the context of digitiza- tion, which results in exciting tasks for us. There are plans to further strengthen the team. Since 2017, we have launched eleven products in the Software Development Center in Wolfsburg that will go online this year. WeAreDevs: What does your day as a software developer look like? Georg Grütter (Social Coding Evangelist): About half of my time, I actually develop software, mostly in Java and Go. I maintain a couple of APIs and backend systems. The teams I work with are usually distributed across the globe and much of the work I do is done asynchronously. The other half of my time I evangelize Social Coding – otherwise known as In- ner Source – at Bosch. Inner Source is the application of Open Source style working models within the confines of an organization. As part of that role, I spend a lot of time giving talks about Social Coding – both in- ternally and externally – help operate a state-of-the-art infrastructure centered around Bitbucket and support the organization in getting the most out of Social Coding. WeAreDevs: What makes your job as a developer at Bosch special? Grütter: Many things, actually. I really like diving into the many interest- ing and technically challenging domains that we develop products in. I find it very rewarding to work with products that are not merely virtual but that are tangible and literally touch our lives. Bosch is a big company with the necessary structures, but in my experience, you can have a big impact with a small team of highly motivated people. But most important- ly, the people I get to work with here at Bosch make my job special. I find many colleagues all over the world who share my passion, who I enjoy working with and from whom I learn a lot. I can always count on my col- leagues to provide help if I ask them for it. That is what for me sets Bosch apart from other companies I have worked for before in terms of company culture. WeAreDevs: What development project are you especially proud of? Grütter: That would be the development of a remote control for the heat- ing systems we produce. It began as a prototype I developed at home. I then made a video, live demoing the system and comparing it to our exist- ing control units. In a time where apps were still a hype, that video quickly went viral within Bosch. We then developed the app in a very small and self-directed team of volunteers and also co-developed the infrastructure with the business unit. The system was completed in record time and in- troduced on a major trade fair where it was presented the flagship prod- uct of our brands. We later won an internal innovation award and an in- ternational design award for the interaction design we developed. Those were very special moments for me and the team I got to work with. WeAreDevs: What impact do developer teams have on the developed product in terms of quality, customer consultation and innovation? Doris Kronberger (Information Management Vice President En- abling Processes): For us, developing software development expertise in-house is a key element of our strategic direction. Our software develop- ment teams (DevOps) are responsible for full-feature software develop- ment for end-to-end software solutions and software services. They are also responsible for business-critical application platforms in all BMW Group core business processes. Apart from software development itself, the teams manage the architecture of our solutions and system platform design, as well as for the user experience and user interface design for customer functions. This is a broad range of tasks, in which the developer teams make a significant contribution to the developed product. WeAreDevs: What characterizes a day in the life of a developer at BMW Group IT? Kronberger: Through agile software development and active innovation management, our developers have a decisive impact on the quality of BMW Group IT software products and make a major contribution to tech- nology and business decisions. Without the expertise of this community, we would no longer be able to guarantee an efficient product portfolio in the future. At BMW Group IT, our developers are given a workplace with a modern portfolio of work equipment and an integrated agile toolchain for automated deployment, automated testing and continuous integration. WeAreDevs: Which development projects is the BMW Group IT especially proud of? Kronberger:We are proud of all our projects that result in innovative so- lutions, maximum customer value and customer satisfaction. Artificial intelligence has the potential to be an even bigger breakthrough than the PC or the internet. The possibilities are seemingly endless: from health to agriculture or even revolutionising entire produc- tion cycles across all indus- tries. But this does not mean that we must not be uncritical or ask a lot of questions. The key is not what we can learn com- puters or machines, but rather what we want them to do for us. If we learn to use AI properly, artificial intelligence will be able to help us cure diseases, improve the climate and make better use of resources. So I strongly believe AI will be more help than harm, if we approach it courageously and transparently.